If you think about it, there are many hats we can wear in physical and figurative ways. Hats have many different purposes, but most are functional and protective: keeping heads warm and dry. Some hats are specific to history and culture. They tell a lot about the person wearing them, such as occupation or rank. Students can be swept away into a new and different historical or cultural context… simply through the creation of hats and masks! To interpret history, museums and historical societies rely on artifacts and replica objects to help guide hands-on exploration of the past. Hats can physically be put on to act as a concrete connection to the past. One way to use hats is in a dress-up fashion. For example, when teaching about the War of 1812 in Southern Maryland, students can dress up as a sailor. Complete the look with a haversack containing useful items and topped off with a hat (of course!). Before dressing up, describing why we use each item as part of the “costume” is important. Depending on what role the children are discussing, different clothing would be accessible and common for those individuals. Being able to compare hats can help illustrate social differences. Differences between men and woman’s fashion can also be highlighted by including hats in dress-up activities. In this activity, students can make their own paper versions of the style of “shako” hats for the U.S. Army for men. They can also make paper plate bonnets for the woman of the time, complete with ribbon and flower. Creating these hats can allow for some creative differences, while still mimicking a traditional hat from a specific time period. 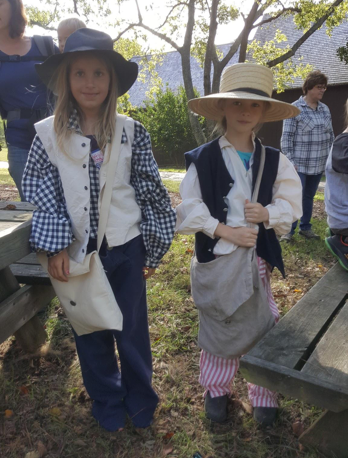 Allowing students to create different pieces of costumes can provide them with reminders of what they learned about the time period or subject. 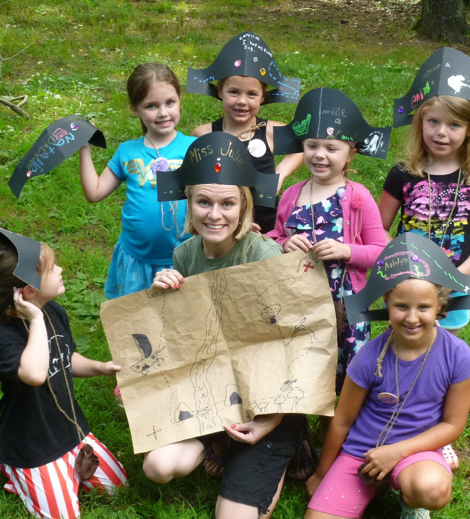 During a day-camp program at Jefferson Patterson Park and Museum, campers became pirates and went on a search for treasure. Through the program, the campers became more and like pirates by adding accessories. They learned a little about life on the sea as pirates or privateers. We started by making hats of course! Following the hats were the eye patches, haversacks, and telescopes. All of these pieces were practical in some way for pirates and that was explained through the program. We even tested out the eye patches in a dark room to see if covering one eye truly did help us see better in the dark. They also got to try their hands at crafting their own pirate costume. Many other programs require role-playing to help the younger audience understand the historical context and to appreciate the characters in the stories we read. One example of this is creating Uncle Sam hats or masks when celebrating the Fourth of July. This is the perfect time to about the origin of Uncle Sam. 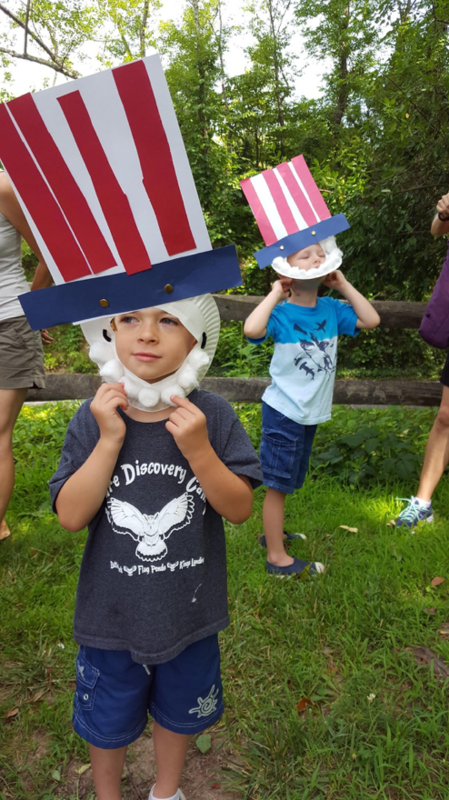 The masks showed off the children’s faces so they were able to picture themselves as “Uncle Sam.” This is important because there are different stories of where this patriotic character came from! Each generation sees to reinvent this character. Having such young faces as Uncle Sam helps illustrate how the character is reinvented. It can be influential for future generations to evoke his mission of the patriotic call to serve. 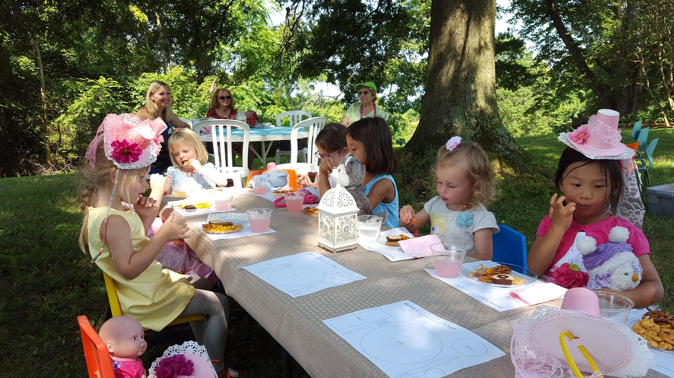 Another fun way we use hats that the students create is during an annual Tea Party. We make the hats from “everyday items” like paper cups, doilies, headbands, and scraps of fabric. The first thing that we do during the program is take the time to create unique hats. There are options of colors, fabrics, and flowers for each person to choose from. The main objective for the party is to teach proper etiquette for a fancy social gathering. Taking the time to create a fancy hat demonstrates the level of importance the party has as a social event. When wearing the fascinator style hats, the girls tended to also hold their chins up more and have a more formal posture so their hat did not fall off. The hats acted as a guide to the program’s etiquette mission. 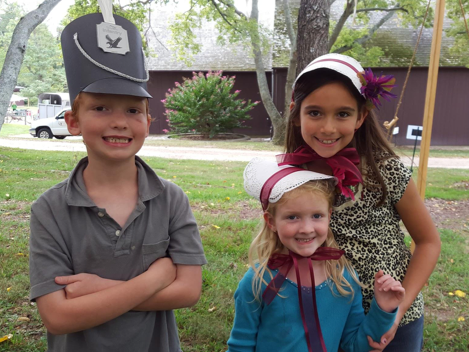 Finally, hats and masks can provide the props for storytelling and reenacting the literary stories from many different time periods and settings. We use hats and masks to illustrate a different style of dress or to help us people a different creature all together. Props can help transport the audience to the context of the stories. Many times these stories include animals that we cannot bring inside. 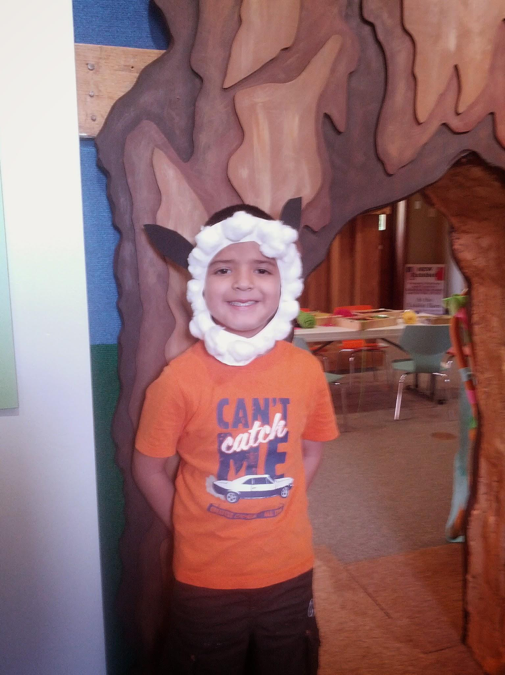 Nor do we have on hand to become props for storytime programs… So that means we have to create these animals! 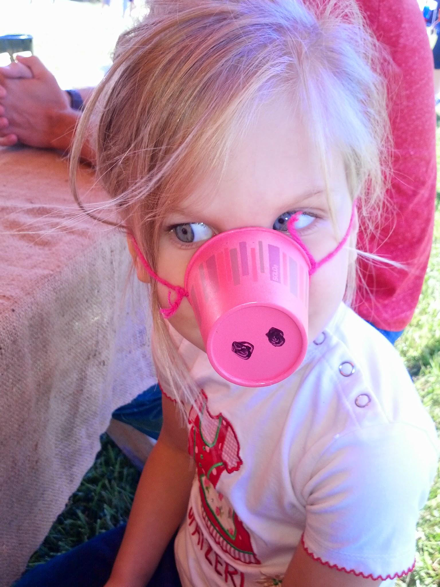 Whether it’s a pig, sheep, or bear, with some imagination and some craft materials, any 4 year old can make themselves look like a different animal. Allowing students to create their own disguise makes them really get into a different “character”, whether it’s as another person or an animal. Hats can lead the way to historical and literary discoveries when we simply involve creativity.